Our group was called the Star Sisters (that was my uncreative name) which was myself, my sister, my sister’s friend Adamina and her sister Olivia (hence the name). However this story is less about the group and more about my sister, Claire, and her first 10k race. Claire has been along with me pretty much every step of this 27 List challenge. She’s suggested ideas for the list; helped me complete some of the goals, most importantly making macarons; and has been in the background going through ideas; pushing me through my indecision about blanket colours and reading through first drafts of this blog and telling me what’s weird. So when I came to looking for charity races to join, I just naturally booked her in with me. She didn’t have much choice in the matter and although she had just begun doing a bit of running herself, this would be her first long distance in a very long while, as long ago as primary school cross-country races in fact. So she kept at her running, every other week doing a Saturday morning run and sometimes after work. Two weeks out from race day, she confessed her longest distance so far was 3k. I had not been doing much better. I have run intermittently for the past two or three years and completeled 10k races before, but my training for this race had been minimal, a few Saturday runs of about 6k and boot camps every now and again. I knew I would have a bit of base fitness to get me through, I hoped at least. 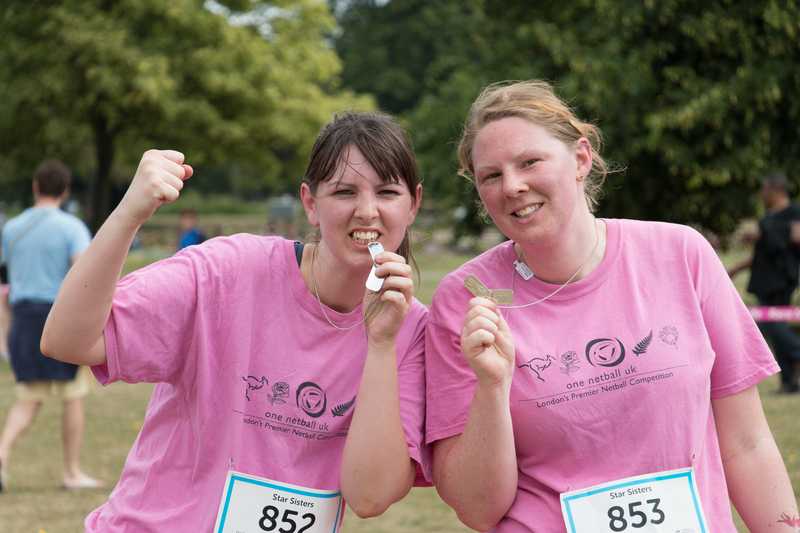 Claire and I ran together the week before the race, aiming for 6k, we struggled to get to 4k without stopping. Claire’s athsma flared up and we bickered with each other about strategies to keep going and silly things that only siblings bother each other about. I wasn’t feeling too hopeful about what was to come for the next weekend. Race day came up quickly and we woke to the sunniest Saturday of the year so far. It was warm by 8am and by midday it would be baking hot. Luckily we had a 9am start and after a quick and quiet warm up (they weren’t allowed to use the sound system until after 9am) we lined up with the throng of ladies dressed in pink to start the race. I’m proud to say we started together and finished together, one hour and seven minutes later. It was a great run, better than I could have hoped for. 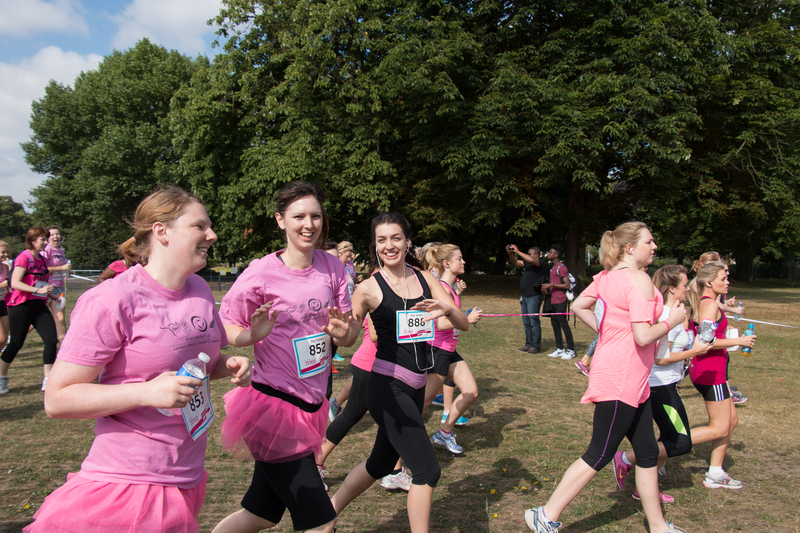 We started well, spured on by the crowd running with us and supporters calling out at us “Go tutu girls!”. We faltered a little around the 4k mark and nearly stopped but Claire had it in her head though that she wasn’t stopping until 5k and in the end pushed through all the way to the 6k mark where we took a brief tactical walk. Claire got her breathing under control and I geared up mentally for the next stretch. 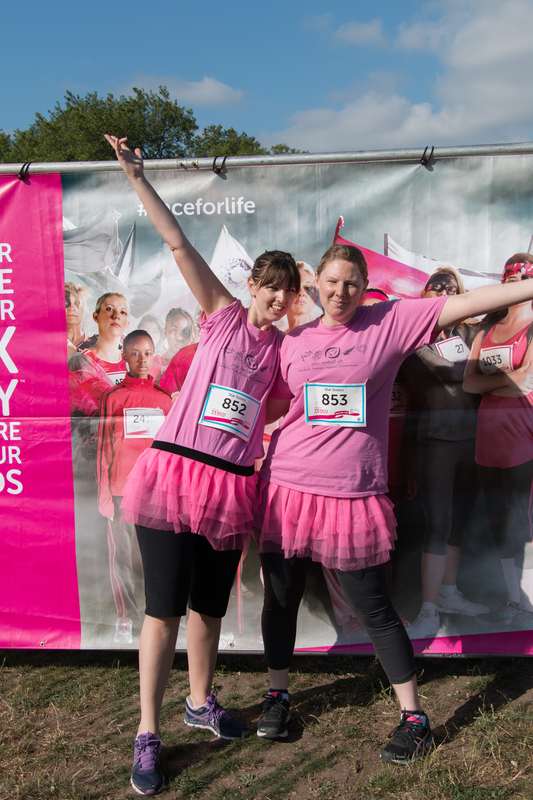 We started running again, legs aching and faces flushed with the exertion but drawing inspiration from the statements pinned to our fellow runners backs “I race for life for ……”. The statements are such a great idea and people’s messages were so encouraging, this is one aspect of the race I will definitely get involved in next time. We didn’t talk much in the last 3k or so and the photos Ben got show tired and pained faces, dragging our bodies along with us. I just kept thinking, if Claire can keep going then I have to keep up, I really wanted us to finish together. Turns out she was thinking the same thing and we both pushed through to the finish line. Crossing the finish line was such a special moment, I was so proud of us, and so proud of Claire for not giving up and not giving in. We threw up our arms and celebrated with hugs and much needed water. This was one of the last weekends Claire has in London before heading back home to NZ. I’m really sad she won’t be around anymore, but I’m really glad you were at my side for this one Claire, it felt good. 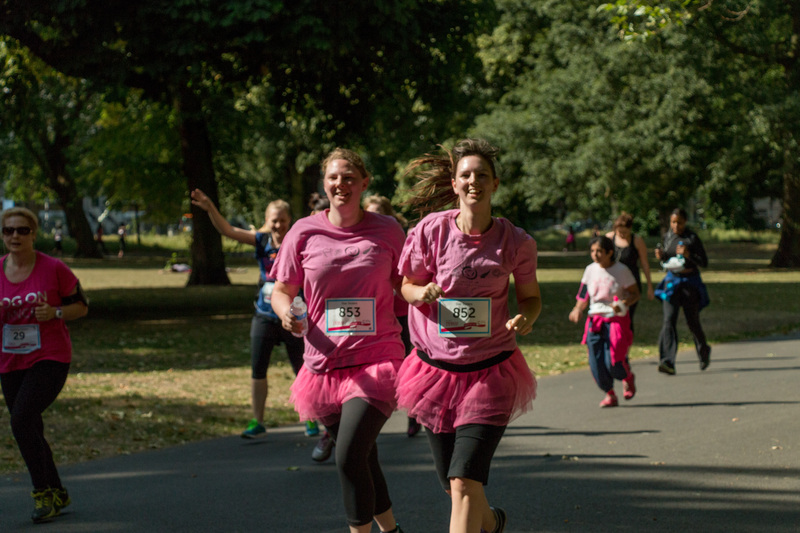 This entry was posted in 27 while 27..... and tagged 10k run challenge, 2015 race for life, pink sisters, Race for life, Race for life review, Victoria Park run by andieinspired. Bookmark the permalink. 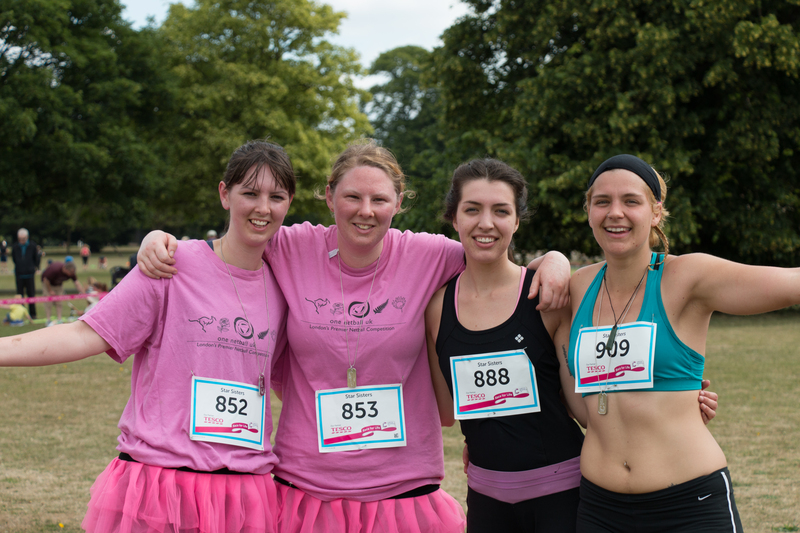 Great stuff you looked like ‘pros’ – Would be good if you and Claire inspired Nichola to try it – run a 10km race that is. I’ll walk it – well maybe?!! !